Locating and selling only quality used transmissions is our goal at Premier Auto and Truck parts. 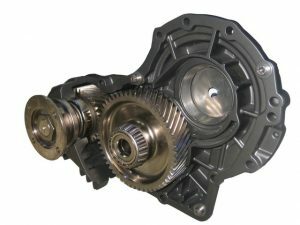 We search and find recycled transmissions for trucks and SUV’s as well as domestic and foreign cars. All of our used transmissions are OE (original equipment) from salvage vehicles that are 10 years or newer and typically have low mileage. Before being sold, these quality transmission are inspected at least three times. And last, but not least, they come with our standard 6 months parts warranty. These two signs are probably the earliest and the easiest ways to know that your transmission may need some attention. A small leak of fluid from your transmission can be an easy fix if caught soon enough. The same may be true for the warning lights as well. However, If you ignore the leak or the warning lights, what begins as a small problem may end up as one of the most costly repair or replacement in the lifespan of your vehicle. If your transmission is exhibiting any of the following warning signs, you need to get it inspected as soon as possible. If you continue driving your vehicle under these conditions, you will face a complete breakdown and/or expensive repairs. When salvage vehicles that have potential high quality transmissions are inventoried into our salvage yard, these transmissions undergo our stringent in-house quality control before being released for resale. The units are first tested whenever possible before they are carefully removed from the car, truck, or SUV. All fluids in the vehicles are then drained. The transmission and the engine are separated from each other. The lines, electrical connectors, plugs and cables are then removed or unplugged. After this, the transmission pans and internal filters are removed so they can be further inspected. Torque converters are removed, drained, and then reinstalled. At this point, the used transmission is put on the shelf to be sold. They are given a final inspection. Premier Auto and Truck offers high quality used transmissions, both manual and automatic, for cars, trucks, and SUVs as well as both domestic and foreign vehicles. Do you have a hard-to-find transmission? At Premier Auto and Truck Parts, we specialize in locating hard-to-find quality used transmissions with cutting-edge technology that allows us to find them with seconds. Premier Auto and Truck Parts takes the fear out buy a high quality, used transmission by offering a 6-month, 100% guarantee with your purchase! We also offer 6-month, 1-year, and 3-year Parts and Labor Warranties. (See our warranty offers for more information.) No matter what type of warranty you decide to buy beyond the 6-month part warranty, you are guaranteed that we will provide you with a free replacement should your used transmission fail. This also includes the labor and costs involved to install the replacement used transmission.